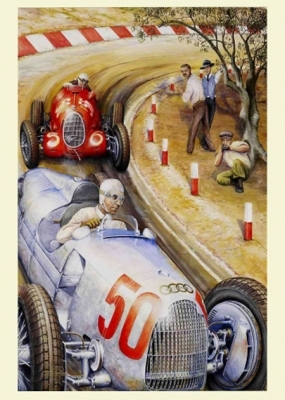 The Swiss artist Fabrice Lachavanne is from childhood, an avid racing fan. 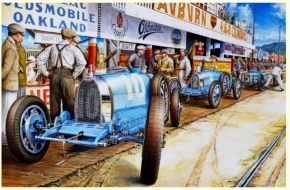 His supremely colorful highly detailed acrylic paintings of major racing moments he devoted mainly to the nostalgic race of the 1920 to 1970. 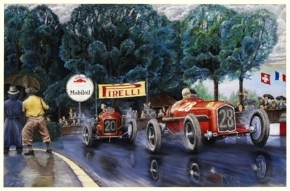 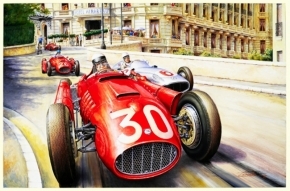 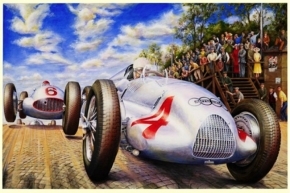 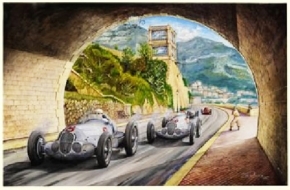 Through the fascinating technique of the artist you will notice when viewing his paintings like the racing scenes are played lively and cheerful. 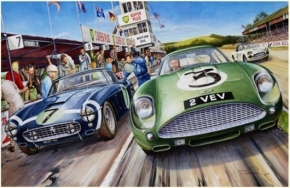 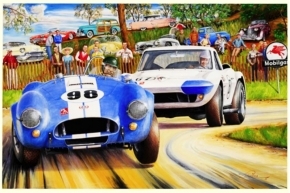 You have the option to purchase very exclusive, hand-signed, and art prints for your private collection and add to your cmc modelcars collection.